Honeywell VC8715AM1000 24V 3/4" Sweat VC Valve w/Auxiliary Switch. Controls HVAC systems, fan coil systems, radiators and convectors. 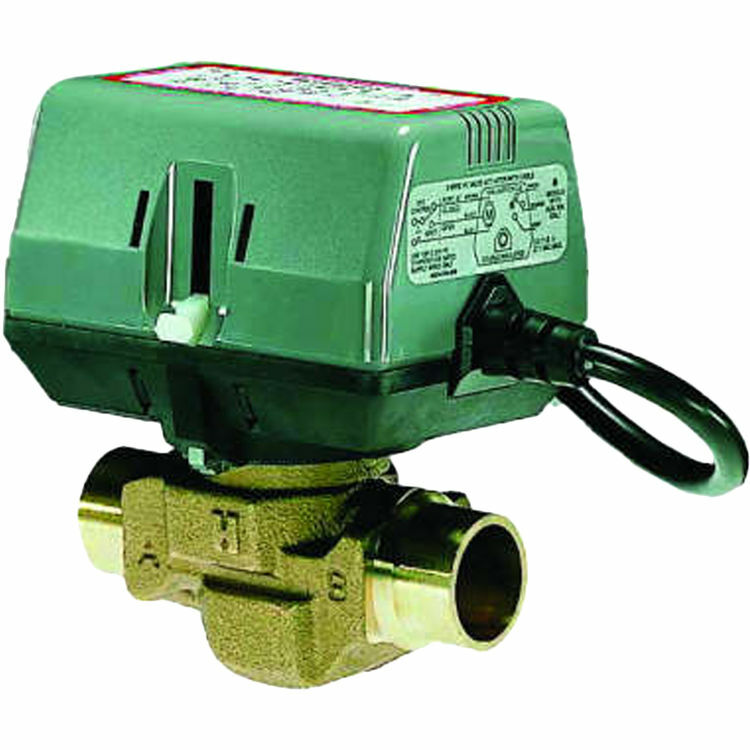 Depending on model, can be controlled by either a low or line voltage SPST/SPDT or floating controller such as a room thermostat, Aquastat control, or flow switch. Quick-connect or one-meter cable electrical connections available. Safe for use with potable water. On/Off models with six second nominal timing (floating/modulating models available with 120 second timing).